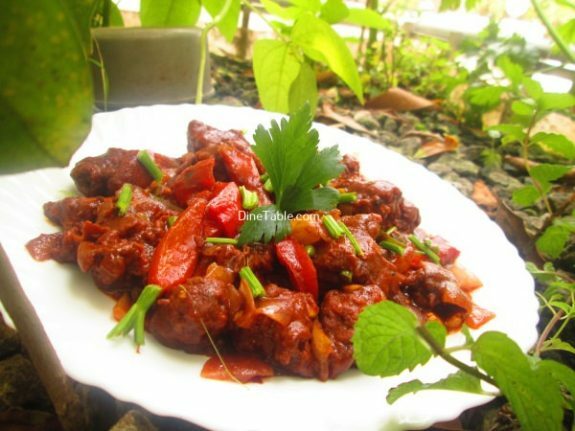 Spicy Chilly Chicken is a delicious Chinese side dish, which is a perfect treat for all chicken lovers. 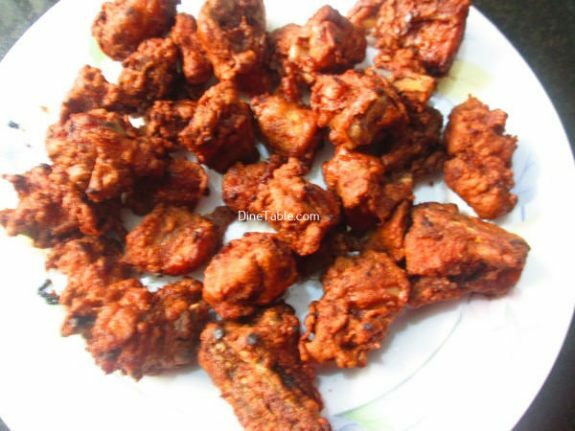 Its very juicy, crispy and tasty non vegetarian dish. 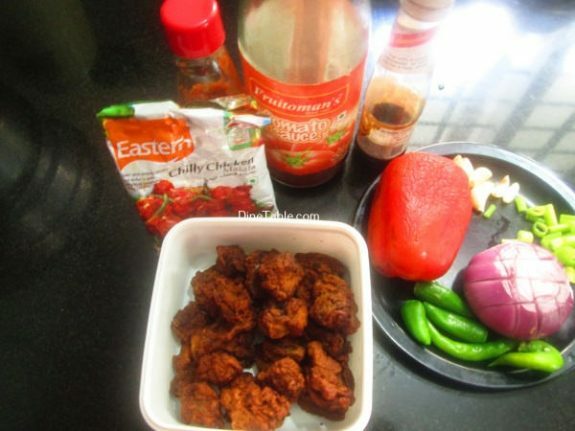 Chilly Chicken is probably one of the most popular chicken recipes liked by all. 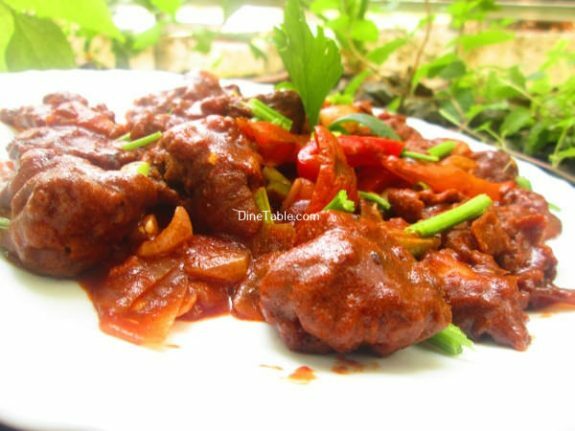 The taste of eastern chilly chicken masala makes this chilly chicken a different taste. 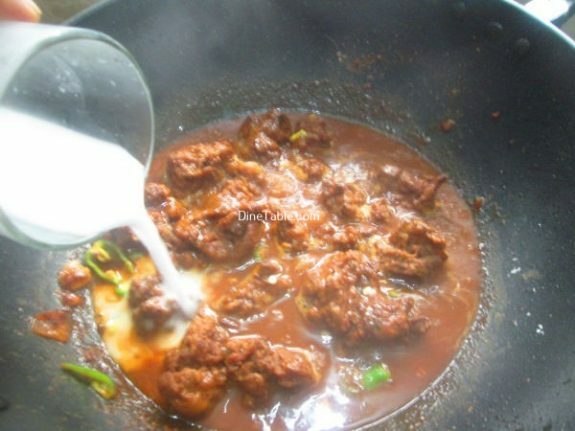 Try out this yummy recipe at your home. 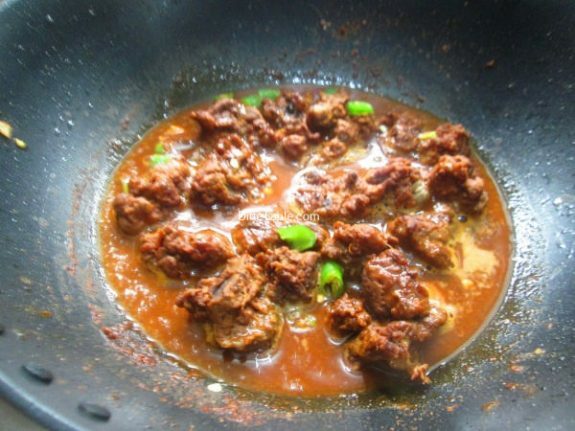 For masala, I am using Using Eastern Chilly Chicken Masala. 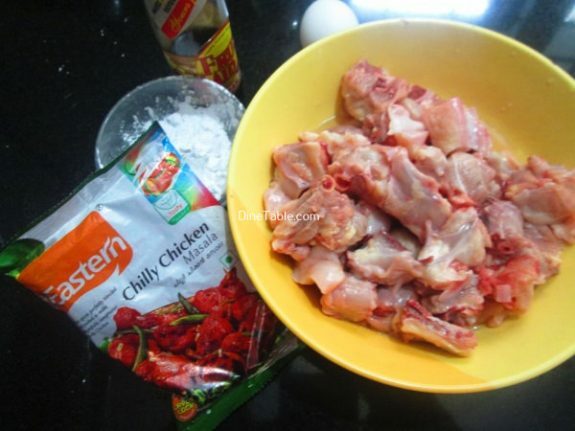 Clean and cut the chicken pieces into cubes. 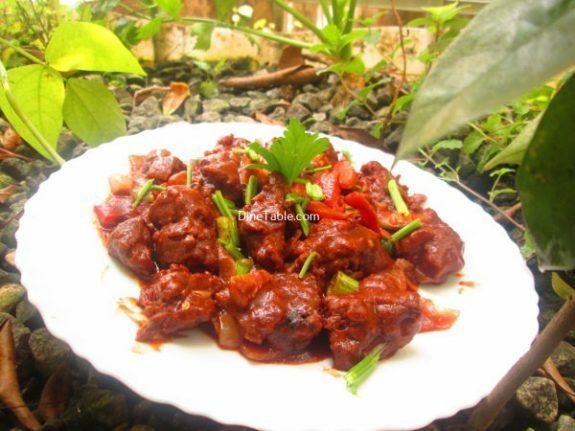 Take a bowl and add 1 tbsp of soya sauce, 8 tbsp of corn flour, egg, 3 tbsp of eastern chilly chicken masala, salt and make it into a paste. 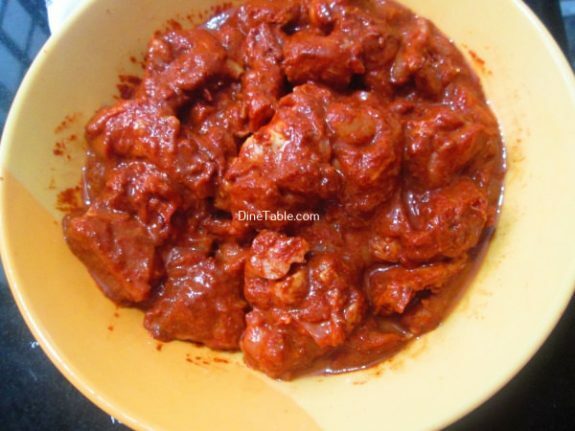 Marinate the chicken pieces with this paste and keep aside for 30 minutes. 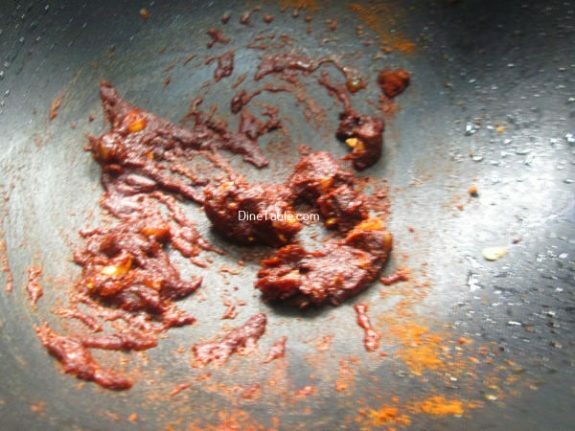 Heat oil in a pan and fry the marinated chicken pieces until golden brown and keep it aside. 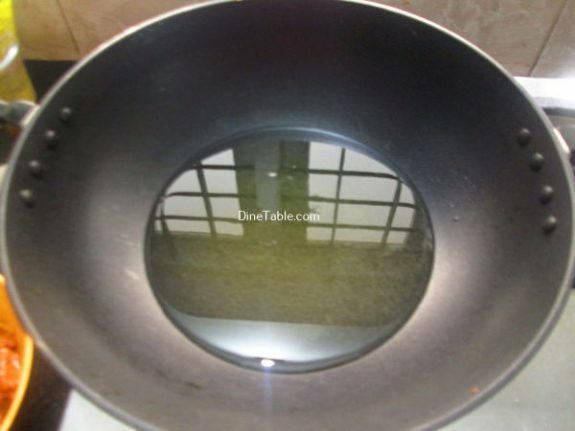 Take a pan and add 2 tsp of oil ( you can use the same oil which is used for frying chicken pieces ) and heat it. 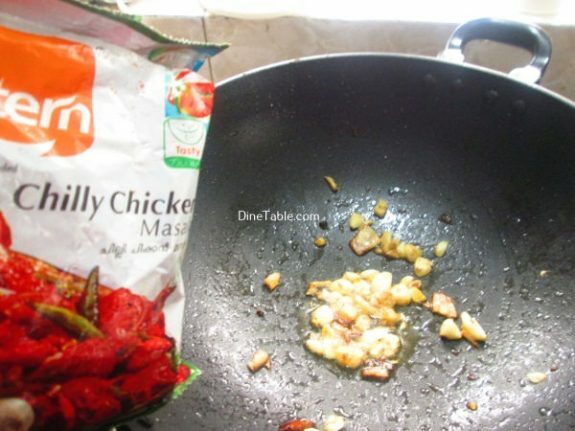 Add ginger, green chilly and garlic into it and fry for 3 minutes. 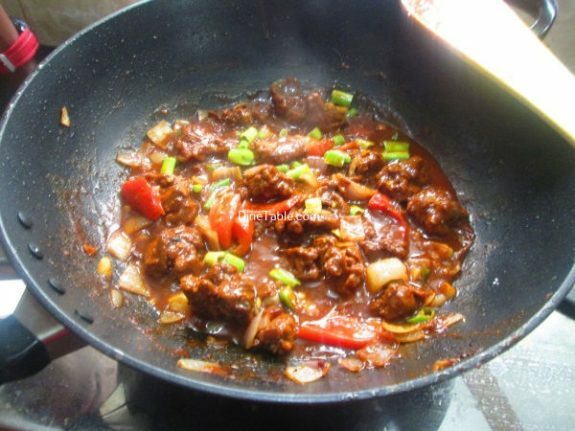 Add 2 tbsp of eastern chilly chicken masala and saute well. 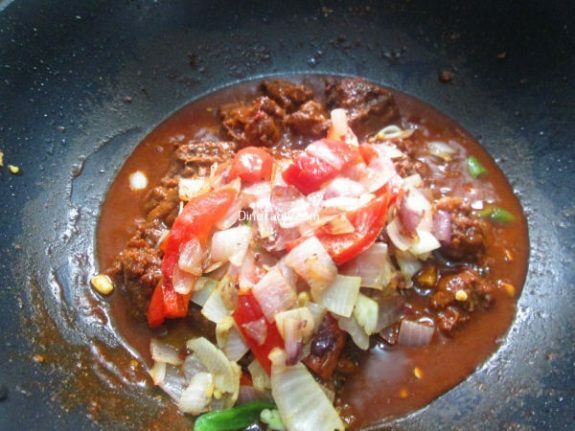 Add 2 tbsp of soya sauce, tomato sauce, red chilly sauce, salt and mix well. 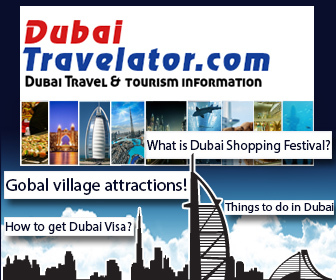 Add 750 ml of water and mix well. 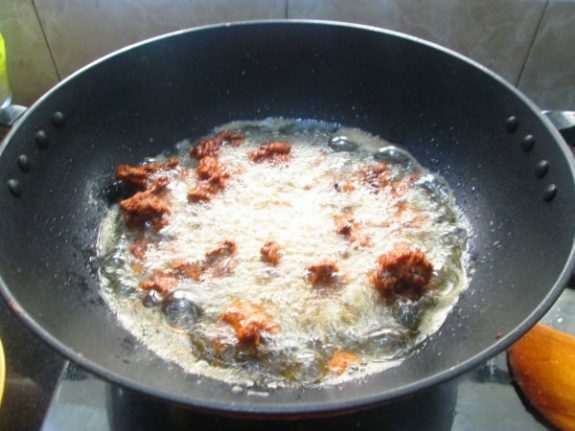 When it starts boiling add fried chicken pieces and cook for 5 minutes. 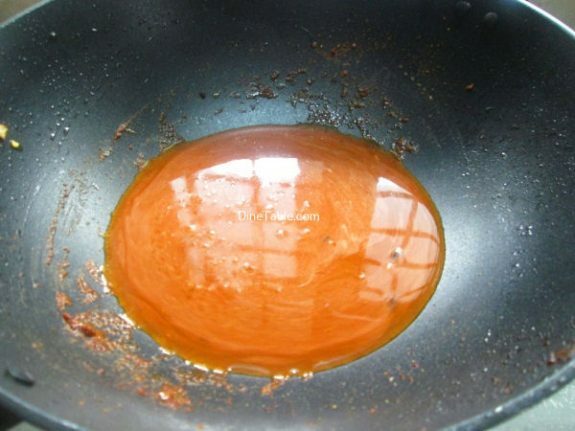 Take a glass and mix 1 tsp of corn flour and 2 tsp of water. 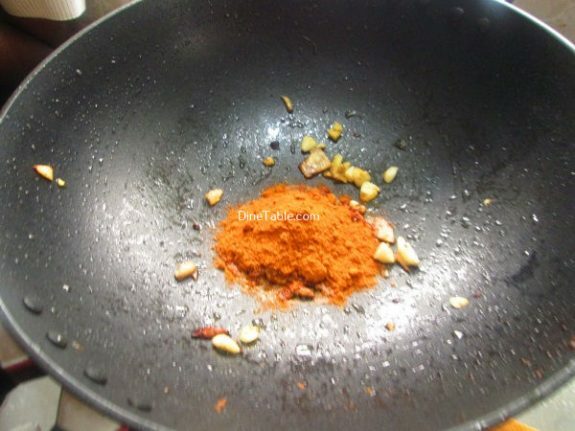 Add this diluted cornflour to the chicken mixture and mix it well. 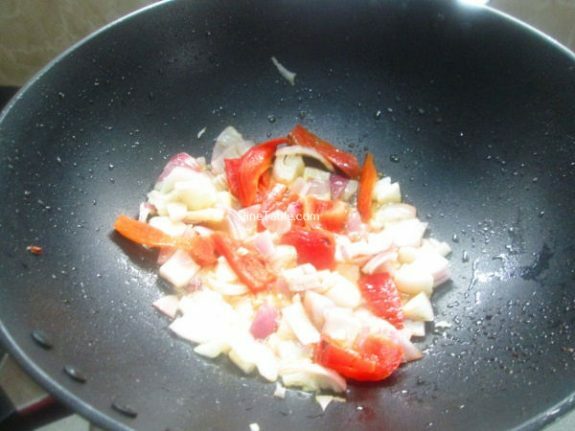 Take a pan and add 2 tsp of oil, add chopped capsicum, chopped onion and saute for 3 minutes. 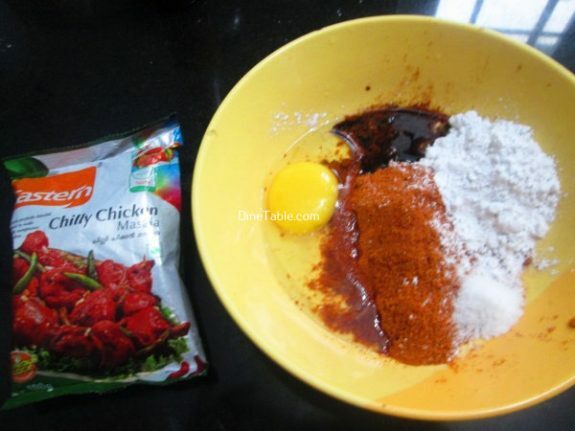 Add this to the chicken and mix well. 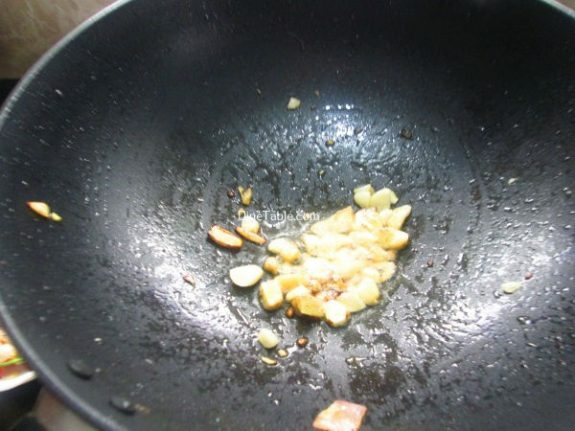 After 3 minutes, add chopped spring onion, celery and mix well. Switch off the flame. 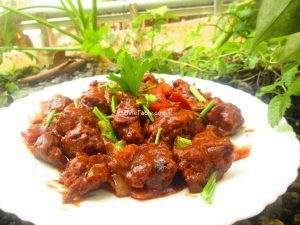 Tasty Spicy Chilly Chicken is ready.